The Supertechno 30 is the standard for telescopic arms with a 23ft telescopic range (7ft - 30ft reach) and a 30ft lens height. It ncludes the speed box and 3-axis capable Z-HEAD and can support any other remote head, 3D-camera setup or heavy load without worry. This is the workhorse of the telescopic arms, equally capable outdoors, on a stage, or any location. Our SuperTechno 30 is always configured to support 16mm & 35mm film cameras, professional video, digital video, and HD cameras. It can also work with large format cameras (65mm & IMAX). 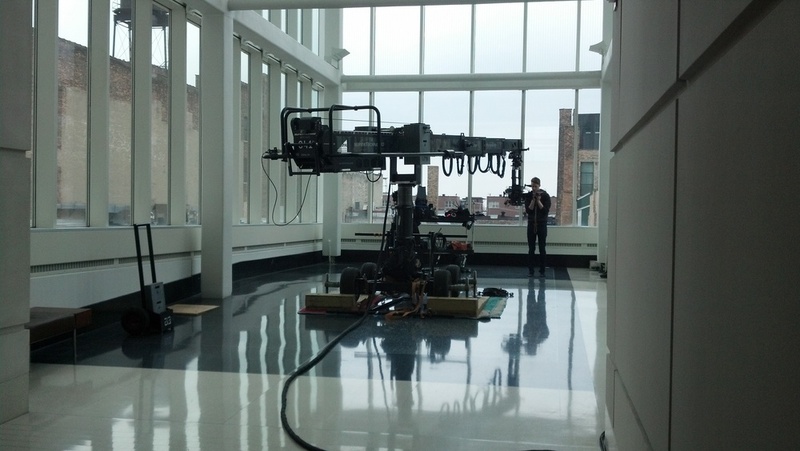 The Z Head, the standard remote head on Technocranes, controls 3 axis of camera movement (pan, tilt, roll). 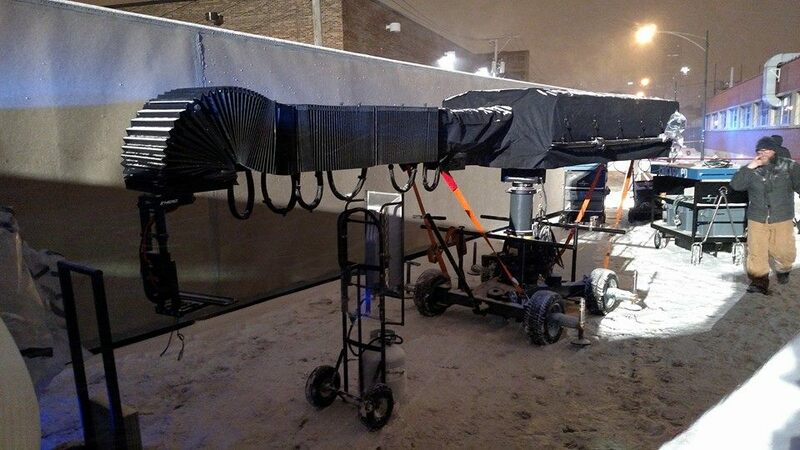 For more info on all our camera cranes, click here. Max. Nose Load: 80 lbs. Total Weight: 2,850 lbs. Telescope Speed: 0-6ft. / sec.